Tom Perkins, pictured in September 2013. Venture capitalist Tom Perkins came under fire after publicly comparing the experience of wealthy Americans to a deadly Nazi campaign that preceded the Holocaust. "Writing from the epicenter of progressive thought, San Francisco, I would call attention to the parallels of fascist Nazi Germany to its war on its 'one percent,' namely its Jews, to the progressive war on the American one percent, namely the 'rich,'" he wrote, opening a letter to the editor of the Wall Street Journal. "This is a very dangerous drift in our American thinking. Kristallnacht was unthinkable in 1930; is its descendent 'progressive' radicalism unthinkable now?" he concluded. 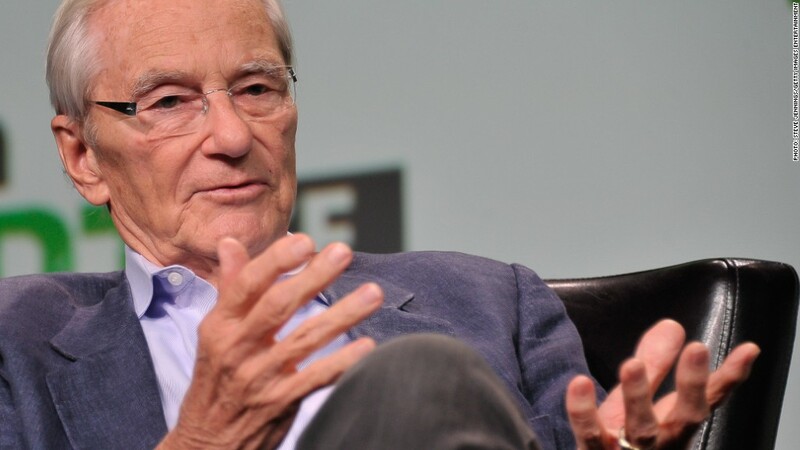 The venture capital firm he co-founded -- Kleiner Perkins Caufield & Byers -- lists him as a "partner emeritus" but distanced itself from his comments. "Tom Perkins has not been involved in KPCB in years. We were shocked by his views expressed today in the WSJ and do not agree," an online posting from the firm read. Perkins told CNN's Dan Simon on Sunday he stood by his comments. "As for criticism of the letter, everyone is entitled to his or her opinion," he said. "[O]ur philosophies and strategies have drifted so far apart that now my name means little on the door," the outlet said he wrote. "In the Nazi area it was racial demonization, now it is class demonization," Perkins wrote. In the letter, he claims evidence of "a rising tide of hatred of the successful one percent," including protests surrounding private buses that transport technology workers from San Francisco to the campuses of companies like Google (GOOG). He also takes aim at the San Francisco Chronicle, which he claims spends "virtually every word" demonizing the rich and has launched "libelous and cruel attacks" on his ex-wife, Danielle Steel, an author and philanthropist. Another prominent investor was criticized for referencing the Nazis. In 2010, Blackstone chief Stephen Schwarzman reportedly likened an Obama administration proposal to raise tax rates for hedge funds to a war, then added, "It's like when Hitler invaded Poland in 1939." He later apologized.